Find your Canadian Poncho on eBay! "Here is a brief story about my 68 SD. This car was originally sold new in Delson Quebec. 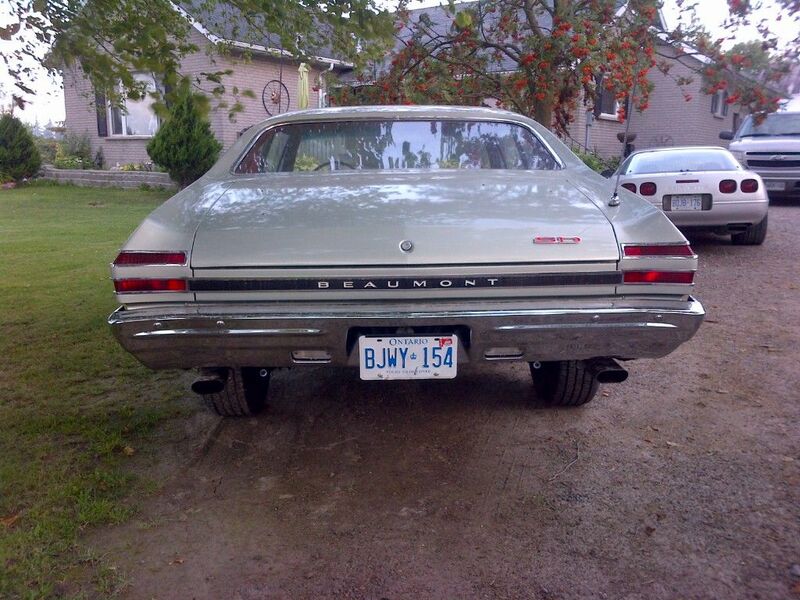 It had three owners in Quebec, and the car was brought to Ontario in 1998, with the 1978 Quebec plates still on it. At this point the car's 396 engine was gone, having been replaced at some point with a small block 350 chev, which was not running. The Ontario owner intended to restore the car but wasn't able to. me with 3.73's. The car had the rear quarter panels cut at some time to run big tires and wheels, so they were replaced with correct aftermarket quarter panels. 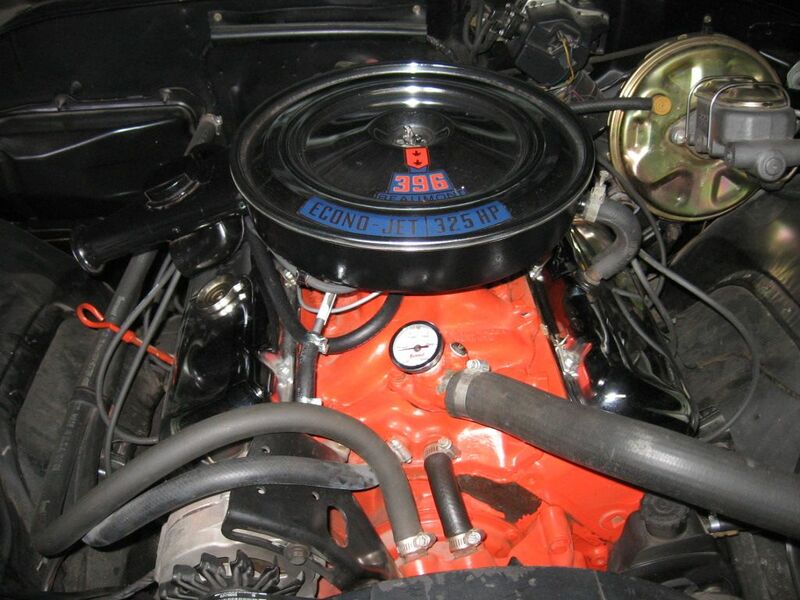 The car was also built with no power steering, so Bob had that added when the replacement big block was installed. 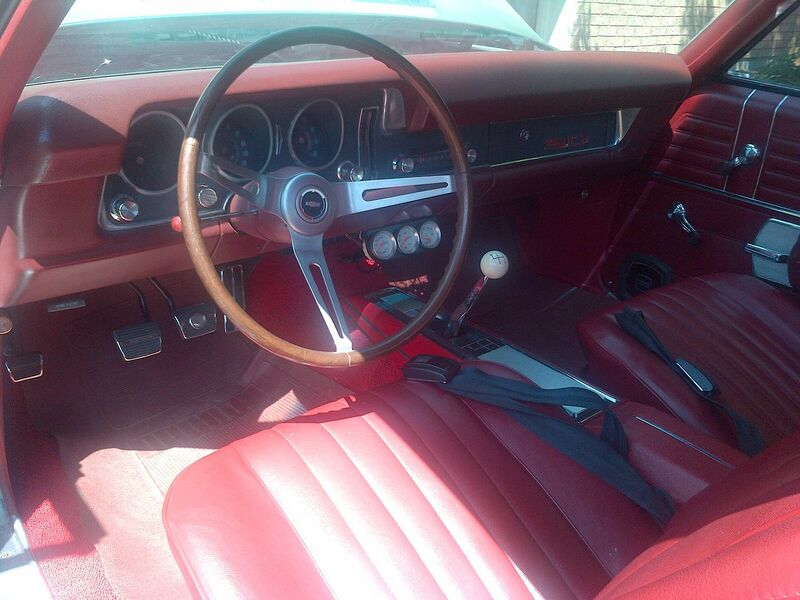 The steering wheel is from a Chevelle, as I don't think a woodgrain wheel was ever offered in a Beaumont.
. I have also put in a front speaker with AM radio. I plan to eventually replace the dash bezel with a better one as it has been cut out for an aftermarket radio/tape deck in the past. Would also like to convert the alt.and power steering to the 1968 brackets. 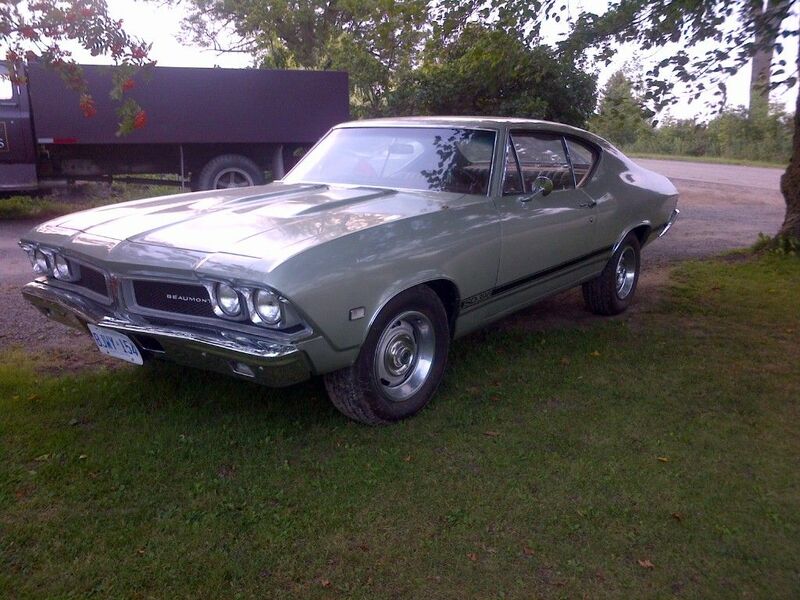 I had never come across a 68 SD with the colour combo like this one, with trim 796 red interior and code P Seafrost Green. " Great story, always love reading how the cars we see on here every month made it this far. Colour combo looks good to me and the overall combo is stunning. Nice car. Definitely worthy of top of the page. Would this car have been a special order? Disc brakes and 4 spd and with that colour combo. Im also thinking one of one. Very cool. '68 Parisienne 2+2 Convertible Matador Red (Resale Red but not for sale). Its an April baby as well. I like to colour combo ... very nice car! '64 Parisienne CS "barn find" - last on the road in '86 ... Owner Protection Plan booklet, original paint, original near-mint aqua interior, original aqua GM floor mats, original 283, factory posi, and original rust. Beautiful Car, and cool color combination. 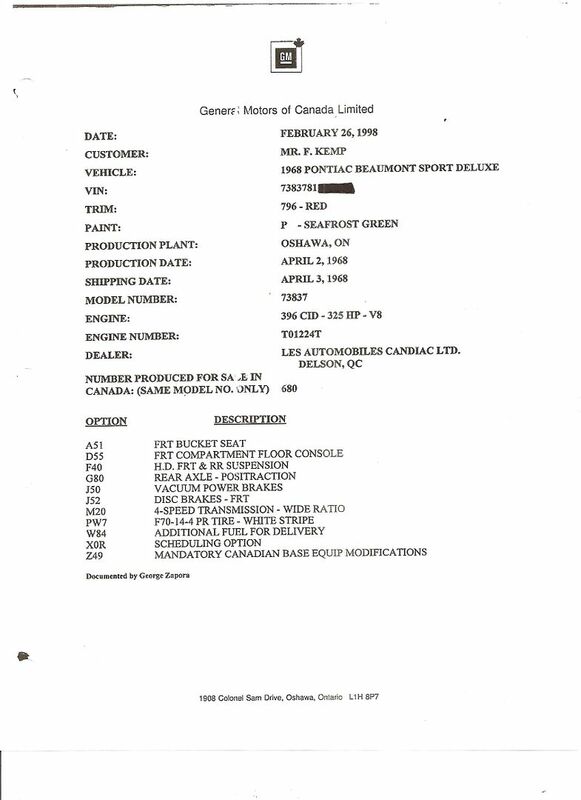 Hmmm, the GM documentation states it's a 1968 Pontiac Beaumont Sport Deluxe. George must have been slipping that day by indicating it's a Pontiac. Neat colour combo for sure, great story, thx for showing it ! I love it! Congrats on making it to the top of the page this month Murray. If you want to run the correct power steering brackets & such then a conversion to the older short water pump is in order, as well as the remote power steering pump reservoir. 1968 was actually a very big year for green. Seafrost Green is more of a silver than a green, probably about the same silver as the colour of Rally Wheels. I'd bet my paycheck it is a 1 of 1 with the red interior. The woodgrained N34 Sport Wheel was a legit option, though I have never seen one in person on a Beaumont ever. Take a look below at a GM promotional picture for the '68 Beaumont SD-396, as pictured in the June 1981 Car Exchange magazine. I inset a blown-up image of the N34 Sport Wheel that apparently is on the car (along with rare U46 Light Monitoring). Back then gearheads ran with manual steering rather than run a parasitic hydraulic pump. Disk brakes were often passed over as well because of the very slight drag they had, due to the pads always rubbing on the rotors to keep them clean, in place & ready for action. Having driven GM musclecars from that era with the standard 9½" drums I know that they are good for one panic stop before they go away. They called it a Pontiac in the photo above, mainly because it was an article written on Canadian Pontiacs by an American magazine (the reason I bought the magazine back in '81). What do you expect from an American publication talking about the curious, misunderstood Canadian cars? I am a walking encyclopedia with numerous pages missing. I dont think Ive ever seen a green car with a red interior and the options make this desirable and rare. Congrats on owing it now and on being top of the page. 63 Pariesienne sport coupe (The Big GTO), black, maroon interior, 409 4 speed; former owner of a 59 El Camino, 63 Corvette SWC, 62 Chev Bel Air SC. Parting out a 63 Parisienne convertible. A very nice and unique car, very grateful to see this example of Canadian icon, SD 396. Stunning!Your friend Bob did a beautiful job and can tell he sold it to someone he knows that would appreciate it. The features you've added/adding give it your personal touch. Boy...would I like to go for a ride in that!! Nice and neat car. I worked across the street from that dealer in the 80's. The dealer is still there (Chevy now I think). Up until ten years ago they had the full compliment of original neon signs from the 60's (acadian, beaumont, pontiac and buick). I wonder what happened to them when they modernized the building? That silver green with red guts must be a one of one! I don't believe they offered an optional steering wheel on 68 Beaumonts, they definitely didn't on 69 Beaumonts. I guess the volume was to low to justify designing a Beaumont specific center cap to replace the bowtie? Thanks for stepping up and filling the top of the page for April. Going to enjoy your 68 SD being the first thing I see every time I log on. Murray, the whole package is marvelous, I love it! Powertrain, colours etc, perfect! Good Stuff there! 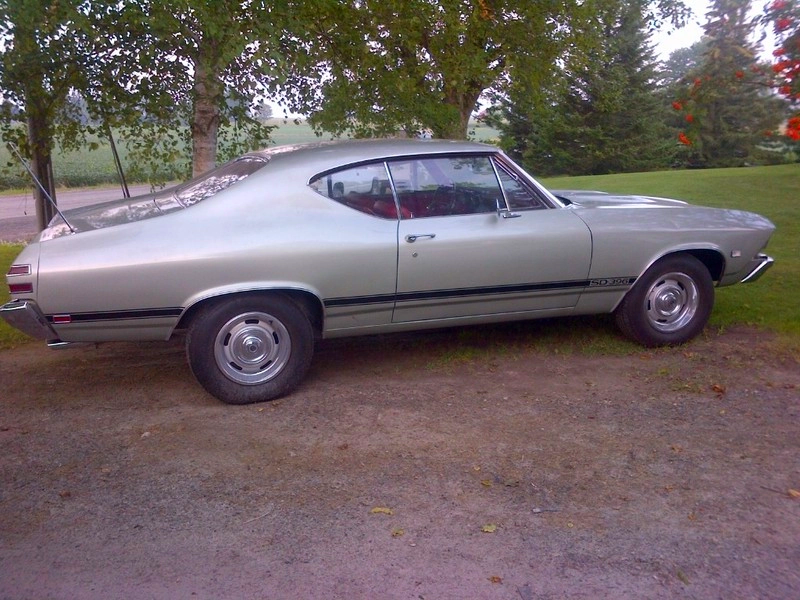 Growing up in the Blue Water area of Michigan, as a youngin would see these occasionally and always thought 68 Beaumont had suttle (and cooler) details than our Chevelles. Nice job! Nice car and unique colour combo! very very nice and rare car great to see that on top of the page! Thanks again Todd for presenting my car as the April feature car, and thanks to all for the positive comments !